At the heart of the female egg is a power source – the mitochondria. If the mitochondria do not work properly, the fetus does not develop as intended and birth defects, spontaneous abortion, miscarriage and other complications can arise. Researchers have been investigating a mitochondrial transplant technique that allows lab technicians to pull out the faulty power source and replace it with healthy mitochondria. 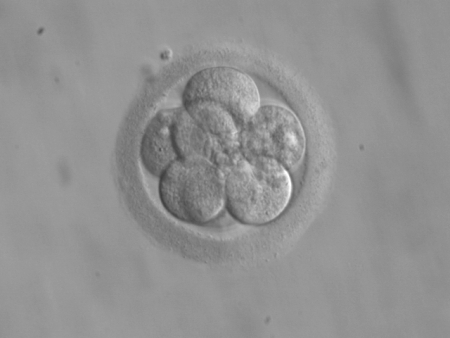 The process is still in the development stages, but researchers believe there will soon be 3-parent embryos used for implantation. The third parent in 3-Parent IVF supplies the donor mitochondria. Imagine if you will, three people standing in a room. Two of the people have invented a widget – one has the battery pack and the other the main mechanism. The battery in the battery pack is dead, but a third person walks into the room, hands the couple a new battery and walks back out again. The new battery brings the widget to life – that is essentially how the third parent works in 3-Parent IVF. In 2003, 3-Parent IVF was banned, but experts don’t believe the ban will stick for long. As of March 2013, Nobel laureates were speaking out about the ban in the UK. According to the laureates, 3-Parent IVF is the answer to previously incurable genetic diseases. When the mitochondria are swapped out, certain genetic disorders would also disappear. There is no mention of legal issues or even discussion about the procedure in the United States. US scientists have successfully swapped mitochondria in a lab setting in the US, but no public debate into the ethics or legality of the procedure has started. If the UK lifts the ban on 3-Parent IVF and fertility experts start “cleaning” genetic disease out of the egg, the US will undoubtedly follow suit.